Sievo's first category benchmarking report is filled with interesting graphs and diagrams that will give you insights on how the consumer goods sector is developing. We have compared data between 2015 and 2017 to give exciting comparisons. Download the report by submitting the form below. 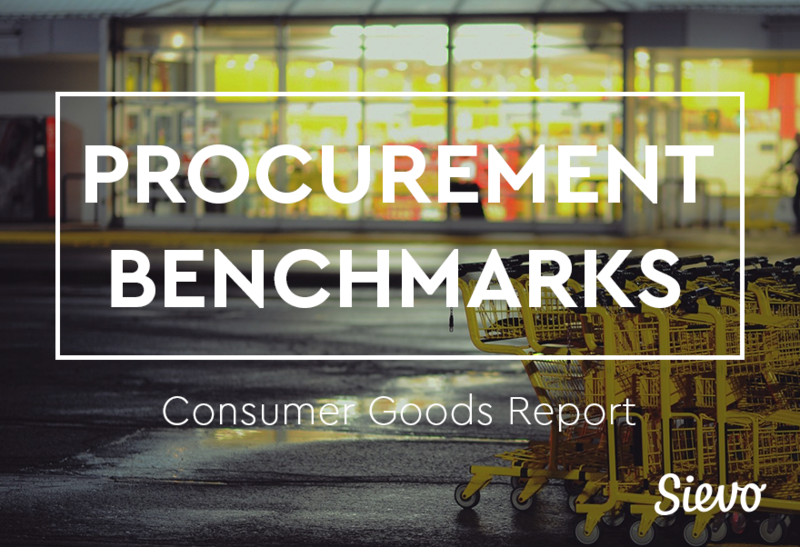 Sievo Procurement Benchmarking series is our new platform of publishing and curating insights from our Sievo Procurement Big Data repository. We have billions and billions of transactions that span through decades. By enhancing this data with public and private market information, we can provide an unique perspective on different markets and geographies are developing.